National product safety attorneys at The Onder Law Firm announce a new website, the Testim Testosterone Lawsuit Center, which provides information on Testim lawsuits to consumers. Testim is a testosterone replacement therapy product manufactured and marketed by Auxilium Pharmaceuticals of Pennsylvania. Federally-approved for treating hypogonadism, testosterone products such as Testim are under FDA investigation due to scientific research connecting the drug with severe cardiac incidents including heart attack and stroke. (http://www.fda.gov/Safety/MedWatch/SafetyInformation/SafetyAlertsforHumanMedicalProducts/ucm384225.htm) Consumer Reports and the American Urological Society have issued warnings regarding the risk of heart attack and stroke from testosterone replacement therapy, and the consumer watchdog group Public Citizen has petitioned the FDA to require a Black Box warning regarding stroke and heart attack risks on Testim and other testosterone product labels. Several Testim lawsuits were filed around the country in recent weeks, including one in a U.S. District Court in Central California (Case No. 14-278). The plaintiff, Joseph Myers, filed a Testim lawsuit against Auxilium Pharmaceuticals for inadequate warning, negligence, fraud, and negligent misrepresentation, among other allegations. Myers suffered a stroke while taking Testim in 2012 and was told by his doctors that his stroke was likely caused by the drug. Myers’ trailblazing Testim lawsuit highlights Auxilium’s “aggressive” marketing to consumers and physicians to advertise for Testim, including a “‘disease awareness’ campaign to alert men they might be suffering from ‘Low T’.” Today, more men are taking testosterone products than ever before in the United States. Testosterone replacement therapy has become a popular treatment for aging men throughout the country in recent years. Testim garnered over $233.4 million in sales during 2012 (ir.auxilium.com/phoenix.zhtml?c=142125&p=irol-newsArchiveArticle&ID=1789190&highlight=). The drug’s label currently bears no warning of cardiovascular dangers. Testim attorneys at The Onder Law Firm believe men who suffered from heart attack or stroke while taking Testim may have legal grounds for a testosterone lawsuit against Auxilium Pharmaceuticals. Testim lawsuits are not class action lawsuits, and may yield real compensation for men and their families who have suffered from stroke or heart attack while taking Testim. If you meet this description, you may contact the firm for a confidential case review at no charge. The Onder Law Firm welcomes AndroGel lawsuit or other testosterone case inquiries from law firms in regards to handling them or working as co-counsel. Onder, Shelton, O’Leary & Peterson, LLC is a St. Louis based personal injury law firm handling serious injury and death claims across the country. Its mission is the pursuit of justice, no matter how complex the case or strenuous the effort. The pharmaceutical and medical device litigators at The Onder Law Firm have represented thousands of Americans in lawsuits against multinational conglomerates from products liability for manufacture of defective or dangerous products to deceptive advertising practices. Other firms throughout the nation often seek its experience and expertise on complex litigation. It is also a recognized leader in products liability cases such as window blind cord strangulation. 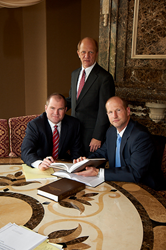 The Onder Law Firm offers information from Testim heart attack lawyers at http://www.testimtestosteronelawsuitcenter.com.